Now that the weather is warming up, iced tea is something I crave in the afternoon. I know my kids’ teachers can use a little boost in the afternoon as well. 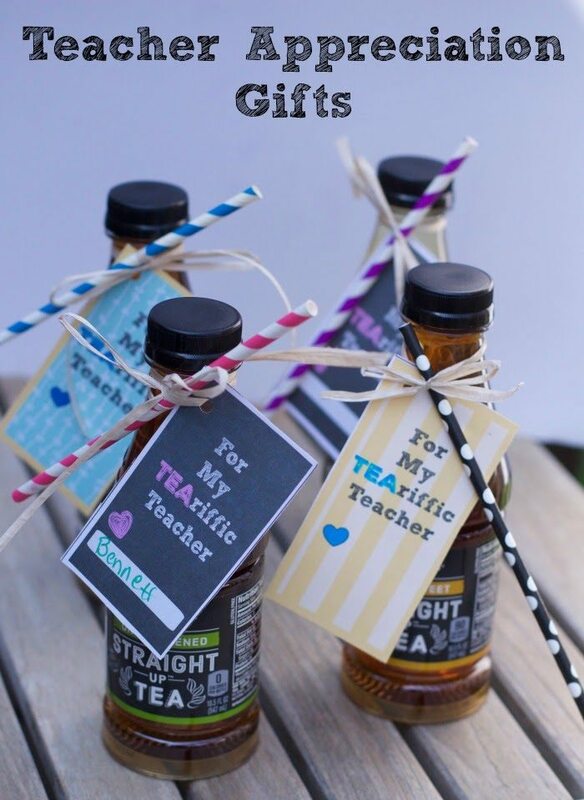 This is why I thought I would create fun simple teacher appreciation gifts using iced tea bottles. I especially love the new packaging on the Snapple® Straight Up™ Tea bottles. It reminds me of black boards in school, and I can just imagine the look on the teacher’s face when the kids show up with this simple gesture of thanks! Teacher Appreciation week is in May, and these are the perfect gifts to have on hand. For less than $1.50, you can give these “tea”cher appreciation gifts to your kid’s teachers. 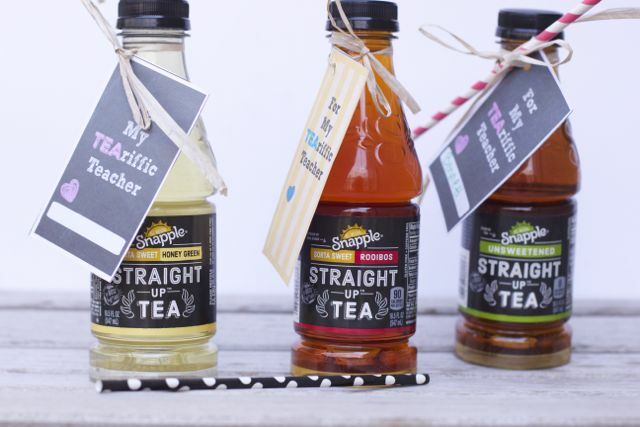 Snapple® Straight Up™ Tea is now $1 at Walmart, so this won’t hurt the budget — especially if you have multiple children with multiple teachers you want to recognize. The thing I especially love about this edible gift is that it will keep without getting stale until your teacher needs that extra push in the day. 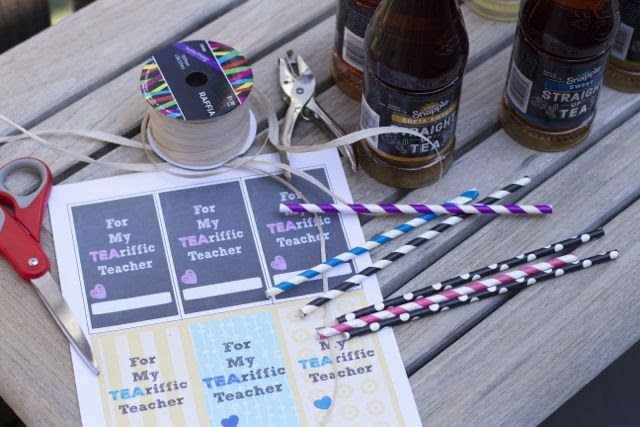 All you need for this simple Teacher Appreciation gift idea is this free Teacher appreciation label printable, some twine and a paper straw. This is one crafty project that anyone can complete with ease. Simply cut out the printable tag of choice and punch a hole on the top. Adhere it to the bottle with raffia or string, adding the straw as well. 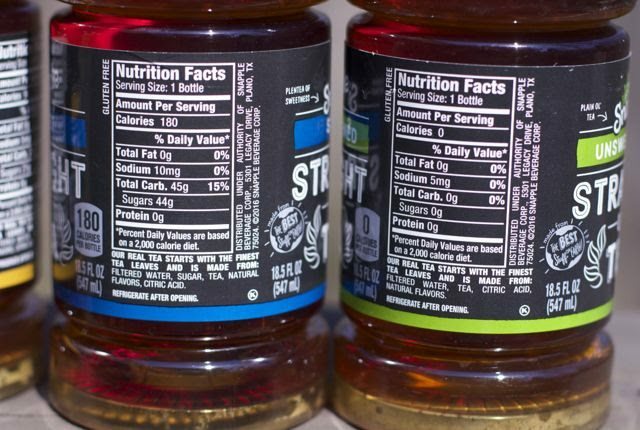 So often bottled teas are overly filled with sugar and flavors that overpower the true flavor of the tea. This is fine if you don’t like the taste of tea, but why drink it if that’s the case? Snapple® Straight Up™ Tea’s flavor is great without those unnecessary ingredients! Thank you for the idea! I’m not that creative and appreciate the ideas…. super cute! Yes any southern teacher would definitely enjoy this gift any time of year. 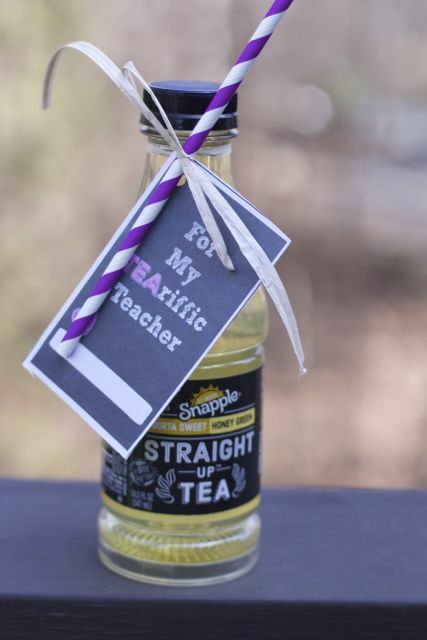 This is a very nice idea and a very affordable way to show some appreciation to a teacher. A nice reminder that you don’t have to necessarily spend a lot of money to make someone’s day a bit more pleasant. We love these teas. This is such a great idea for the end of the school year gift too! Thanks for the great idea. 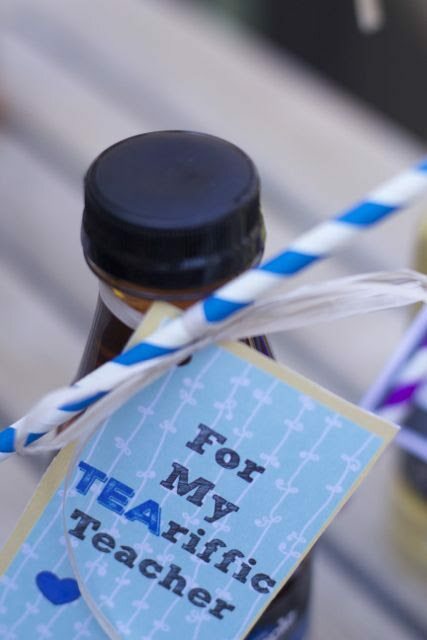 This is a really creative idea and would make for a thoughtful thank you for teachers. I love the TEArrific tags! What a great, simple gift! I really love the fun colored straws! 🙂 You could even do the school colors! This is a great idea! I love the printable. It’s also something the kids can help with! This tea sounds really good. I will have to look for it. I love this printable. I think that any teacher would enjoy a gift like this and any child would be proud to give it to them. What a wonderful way to show your teachers how much you appreciate them! This is so cute and I would love to try this yummy tea too.